Once again, Nandia and Bernard find themselves facing another Galactic Grand Council mission beset with uncertainty and danger. The monarch of planet Aesir, King Sabre, is fouling his own nest. Inflation veers out of control, poverty levels are growing like topsy and corporations relocating off-world. The monarch, tipsy at the best of times, has installed incompetent cronies to key government positions. Reports are that Sabre vehemently blames a former, now renegade, Council delegate for the precipitous decline in his planet’s economy. And, rather than accept responsibility for his own misdeeds, the King condemns the delegate for widespread rumors that he is becoming unhinged. Figuring in the list of The King’s woes include a palace haunting by the shade of his own father, plus blood alcohol levels that exceed manufacturer’s specifications. Nandia and Bearns arrive as Aesir’s merchant starships are being plucked out of the sky by hyper-drive privateers. A tyrannical warlord from a distant desert planet has commissioned the vessels to buoy up his own failing economy. Is this the beginning of an organized coup d’état? 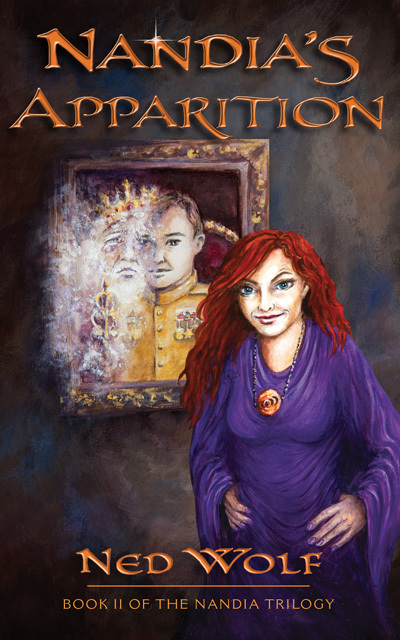 With the help of an immortal chambermaid and a teleporting cat, our two Council delegates must unravel this mess before King Sabre, and the planet Aesir itself, self-destruct. 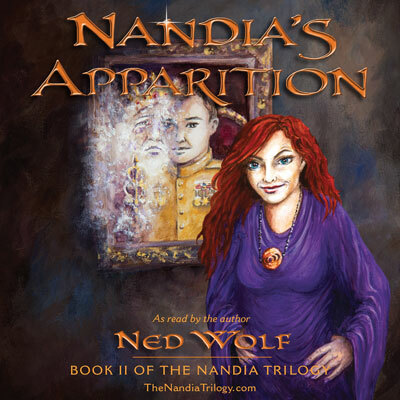 Click on this link to read online or download a sample chapter from Nandia’s Apparition.